If you are not familiar with a company called BAIT you may want to check out some of their previous creations. They specialize in premium apparel, shoes, collectibles and other goods. 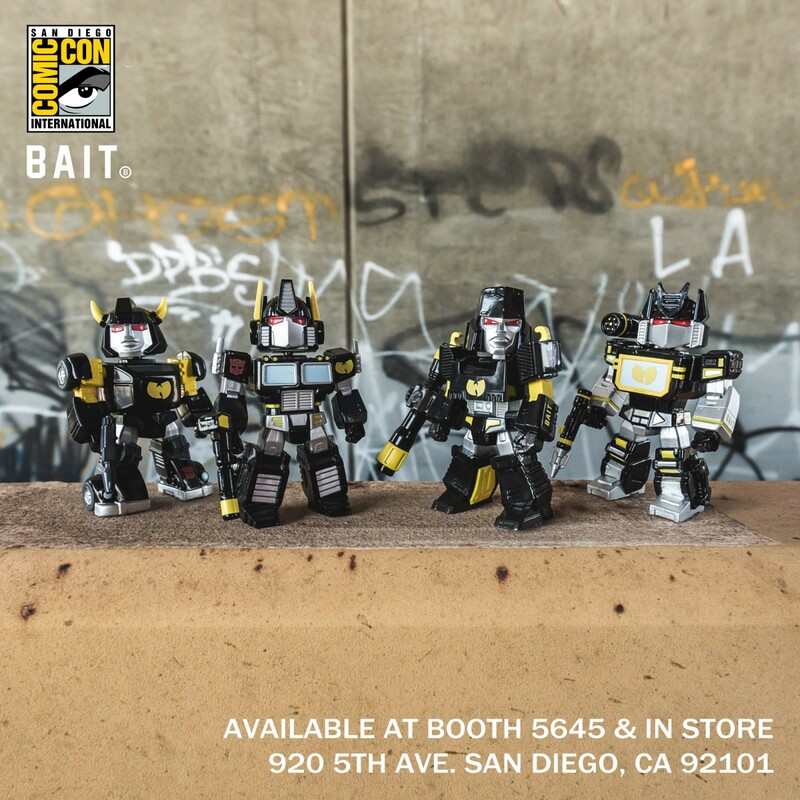 If you look below you will see that this year BAIT is offering some black and gold Wu-Tang Clan themed Transformers figures. The characters available are Optimus Prime, Bumblebee, Megatron and Soundwave. Last year at SDCC 2017 Bait released some sweet figures which appear to be the same molds with a brand new paint job. A quick thank you to fellow news staffer William-James88 for coming up with the find. These will be on sale both at BAIT's store and at booth #5645. 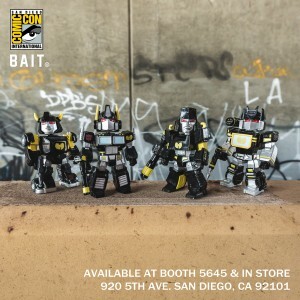 BAIT x Wu-Tang Clan x Transformers 4.5 Inch Figures – Megatron, Soundwave, Bumblee, and Optimus Prime – $30 Each, or $100 for Set. Available at both the booth and store. Bumblebee And Megatron are rock'in those kylie jenner lips! Blitzwing is bae wrote: Bumblebee And Megatron are rock'in those kylie jenner lips! 4,885 pages were recently viewed by 756 unique visitors. This page was viewed 1 times on Wednesday, April 24th 2019 3:15pm CDT. © 2019 Seibertron, Inc. DBA Seibertron.com. All Rights Reserved. Established June 2000. Seibertron.com is owned by Ryan Yzquierdo.